My wife and I recently spent 12 days in China, the majority of them traveling on our own in Shanghai and other cities, and the rest on a Yangtze River cruise. On the last evening of our visit, I started to extol the satisfactions of traveling independently in a country where we don’t speak the language and how smoothly everything had gone – considering. I had to admit I knew what she meant. We had spent much of our time in China dealing with logistics: spending hours picking up train tickets in advance, going the wrong way on the Shanghai subway, ordering food in restaurants without English menus, trying to decipher the oddly soft English-language announcements over airport loudspeakers and keeping up with constant gate changes, worrying that non-English speaking taxi drivers wouldn’t take us to the right hotels, attempting to find certain attractions that were hidden behind unmarked alleyways, even puzzling over where our river cruise ship was docked…the list goes on. Not to mention the fact that I had to do a ton of research before we left in order to make things run as smoothly as they had. I think she was somewhat envious of the folks we met on the river cruise who had just toured Beijing and Xian, seen the Great Wall and the terracotta warriors, and were being met at our departure point in Chongqing by guides who would whisk them off to Guilin or some other wondrous place while we faced a six-hour wait in the Chongqing airport to fly back to Shanghai. OK, so not all of my pre-planning was as brilliant as I thought. I was fortunate enough to travel to Cuba in 1987 as a journalist covering the Havana Film Festival. (Fidel was, and I suppose still is, a big film fan.) I even met Castro – sort of – in a swirling mob of people wanting to shake “El Jefe’s” hand, however briefly. Though I wasn’t a Castro fan, I got caught up in the moment, and in the frenzy, couldn’t have made my way out of the mob anyway. That was almost 30 years ago, and I thought the island was a “time capsule” then, with 1950s Chevys a common sight on the streets and the Tropicana nightclub still putting on shows for tourists and the Cuban elite. In all that time, not much in Cuba has changed. Cuba – an island just 90 miles south of the United States -- has effectively been off limits to most Americans for more than 50 years. Now, as the U.S. works to normalize relations with its near neighbor, many travel restrictions to Cuba have been eased. If you have – and can prove -- a professional, business, sporting, or family reason to visit Cuba, you can do so on your own without need for government pre-approval. Otherwise, you’ll need to travel under the auspices of a tour agency that runs educational, “people-to-people” trips to Cuba. Travel for its own sake – whether for pure sightseeing, say, or staying at a beach resort – is not yet authorized. 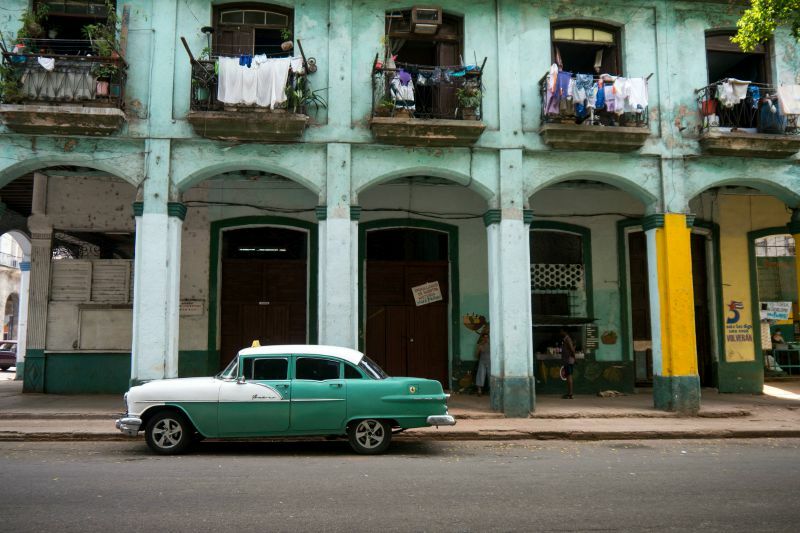 For more information see Stride's blog post What You Need to Know Now about Travel to Cuba. Keep in mind that some Americans have been visiting Cuba for several years now by taking just such educational tours -- and having a great time doing so, learning about Cuba, its history, culture, and people. Even if travel were totally opened up to Cuba tomorrow, taking guided tours from experienced suppliers would still make sense because hotel space in Cuba is scarce and often filled to near capacity. And the likelihood of getting scammed is also much less when taking a tour. Add to that the local knowledge that good guides can bring to a tour group. What to see, how to get around, how to meet the locals, and where to eat, among other things in a country that’s still ill-prepared for mass tourism -- make taking a tour still the best way to go. Imagine a country with scenic mountains, some with "surreal" rock formations similar to those you might see in China, uncrowded ski slopes, ancient temples, and a general feel of a place that hasn't changed all that much in the past few decades. It also has the dubious honor of being the most closed, secretive society in the world today. 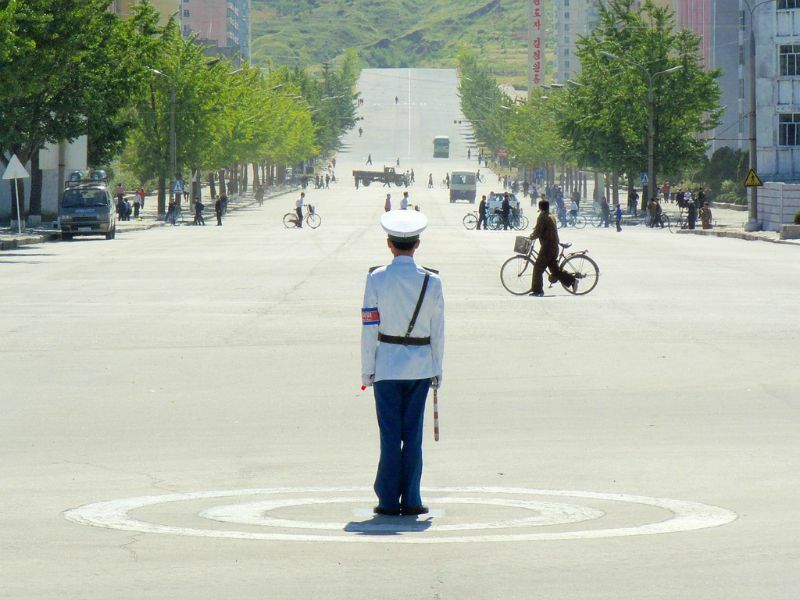 Welcome to North Korea, where some American tourists have been made to feel less than welcome. But North Korea has been slowly warming up to the tourism concept. A Shanghai-based tour operator, called Experience North Korea, is now offering tours. Experience North Korea managing partner Nathalie Armengol said she first visited North Korea recently as a tourist and was "blown away" by what she saw. "We always joke and say that going to North Korea is like going to another planet. So, effectively, it's the cheapest trip into outer space you can buy." "Images promoted by the Western media are not always accurate and are always negative," she added. "We can take you there, so that you can form your own opinion: see for yourself." While North Korea now attracts only about 5,000 foreign visitors per year, it does issue tourist visas to most people who apply -- including Americans. But entry is pretty much limited to flying in from China, where you'll pick up your visa, and you have to travel to and in North Korea by pre-paid organized tour. There's no strictly independent travel allowed, where you can just go off on your own and explore. Organized tours can either be with a group, which is the most common way to go -- and the least expensive, perhaps U.S. $200 a day almost all-inclusive -- or it can be as small as just one person, as long as you are accompanied by a guide, otherwise known as a government minder. You'll need to pay close attention to your guide and not photograph anything that might be seen as controversial (always check first). Say nothing even remotely negative about the country's Supreme Leader. Don't extol the wonders of capitalism vs. communism, the freedoms of democracy vs. the lack of them in the Democratic People's Republic of Korea (as North Korea is officially known), or anything remotely pro-American about the Korean War. Don't note how modern and prosperous everything is in South Korea. The U.S. does not maintain diplomatic ties with North Korea and has issued strong warnings against traveling there, so Americans are essentially on their own. What will you see? That will vary a lot between the particular tour and your guide/minder, but count on a succession of war memorials, museums, perhaps a scenic mountain or two, a walk and short subway ride around approved areas of Pyongyang (the capital), some visits to state-run souvenir shops, and a visit to the DMZ (demilitarized zone), which, ironically, is highly militarized. You might be able to visit a beach or even go surfing (but not the Web). You'll stay only in approved tourist hotels or resorts and, for the most part, eat only in tourist-designated restaurants without much choice of what you'll get. But you don’t go to North Korea to experience joie de vivre. You go because it's there -- and to form your own opinions. Unless you’re a scientist working at one of the Antarctic research stations, you’ll need to take a tour to explore the ‘White Continent” at the bottom of the earth. 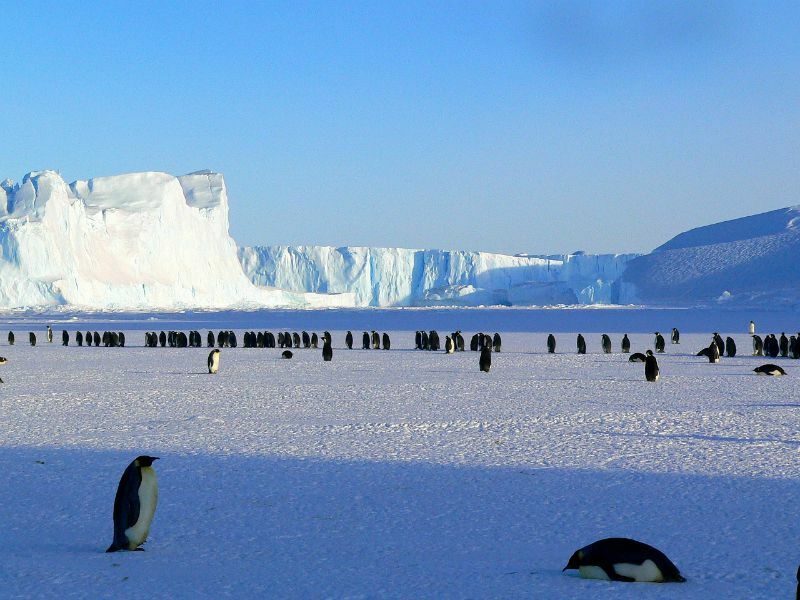 Antarctica tour operators must follow strict international environmental protection guidelines and all itineraries must be approved in advance so they don’t harm the wildlife or the fragile ecosystem. Most tour passengers arrive by ship: About 40 vessels – mostly expedition-style vessels but some yachts as well – now make the run to Antarctica, leaving primarily from Argentina or the Falkland Islands, most carrying fewer than 100 passengers. I don’t get seasick, but a lot of passengers have problems during the voyage across the rough Drake Passage between Cape Horn and the Antarctic Peninsula. So make sure you bring plenty of sea-sickness preventatives! If you can afford it, you can also find flights to Antarctica, avoiding the Drake Passage crossing. But in any event, you’ll need the services of a knowledgeable guide to steer you safely along the ice in search of penguins, whales, seals, albatrosses, and other abundant marine and bird life – along with glaciers, snow-covered mountains, icebergs, and, on some tours, historic sites (such as early Antarctic explorer Ernest Shackleton’s huts). You may even get to visit one of the 20 scientific research stations that have admitted visitors since 1969 – but only under the auspices of a guided tour. The most common destinations on sea tours leaving from South America are the Antarctic Peninsula, the South Shetland Islands, South Georgia Island, and the Falkland Islands -- all havens for wildlife. (The latter two are not part of Antarctica). Passengers board Zodiacs (rubberized rafts) to go ashore, with most ships making one to three landings per day on the mainland. The Antarctic tourist season runs from late October or early November to March or early April, the summer months when the waters off Antarctica are comparatively ice free, so if you want to go this year or in early 2016, you’ll need to book your tour quickly. With so many variables in itineraries, vessels, levels of luxury, price, and trip lengths to wrestle with, let Stride help you sort through all the possibilities. And sooner than you may think, you can experience the same wonders that have captivated polar explorers for more than a century. When I took my first African safari with my wife, we were on our own, driving a little rental car through Kenya’s Tsavo National Park. All went fine until we realized on our last afternoon that we’d better start heading for the exit gates, which were due to close at 7 p.m.
Tsavo is almost the size of the state of New Jersey, and the dirt roads were barely deserving of the name: bumpy, dusty, winding, rutted – and periodically blocked by herds of fierce-looking Cape buffalo or the stray elephant or giraffe. You don’t mess with any of these creatures; they have the right of way as long as they want it. We drove and drove until darkness began to fall, and squeaked through the exit gates just five minutes before closing time. Had we been late, or run out of gas or had car trouble – I don’t think AAA services Tsavo -- we would have been facing a long, cold night out in our tiny car with any number of wild animals prowling about. 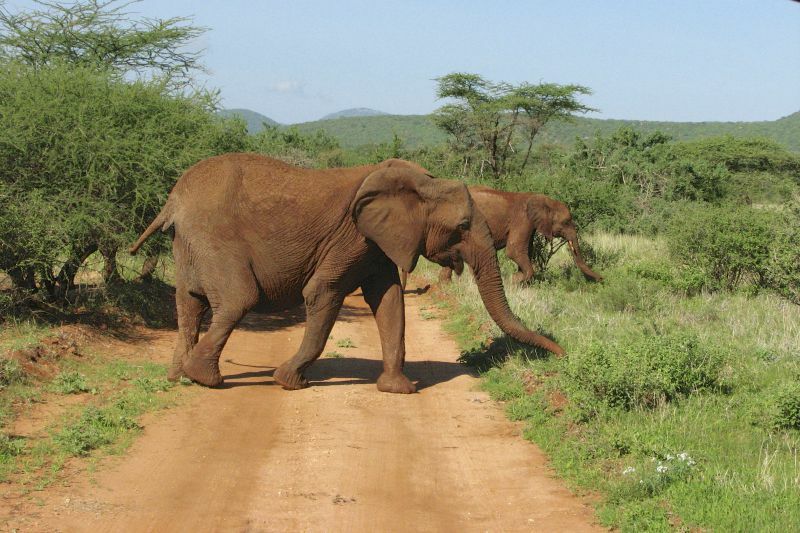 Since that time, I’ve enjoyed a number of safari trips in which trained guides took small numbers of us out in four-wheel drive vehicles to watch elephants at a safe distance and actually let us keep our eyes on the animals rather than the road. If we had a vehicle breakdown or other emergency, the guides had walkie-talkies to radio for help. African countries are increasingly recognizing the economic benefits of conservation and safari travel, and a wide variety of safari operators are offering environmentally sensitive guided tours in search of big game. One safari I’m anxious to take is to Uganda or Rwanda to track gorillas and chimpanzees, our closest relatives in the wild. But I’m not quite prepared to tackle the ominously named Bwindi Impenetrable Forest – one of the top spots to find gorillas. On my own that is. Another place on my bucket list is Botswana’s Okavango Delta – a wetland that forms annually from flooding in the Kalahari Desert – and draws lions, leopards, cheetahs and both black and white rhinos. Fortunately, trained guides know how to navigate their way through the wetlands in dugout canoes -- something I don’t plan trying on my own. And while game viewing can be hot and bumpy, lodging in game parks can be downright luxurious – while campgrounds offer more basic accommodations for those on tight budgets. Feeling inspired? Check out guided tours to all these places! Didn't actually think travel to North Korea was possible! Very interesting. So many wonderful places to see and so helpful with a tour. Can't wait to visit and experience! I have to echo the suggestions in this post. I can speak first hand having done China both completely independently and with a private guide organized by a tour operator. 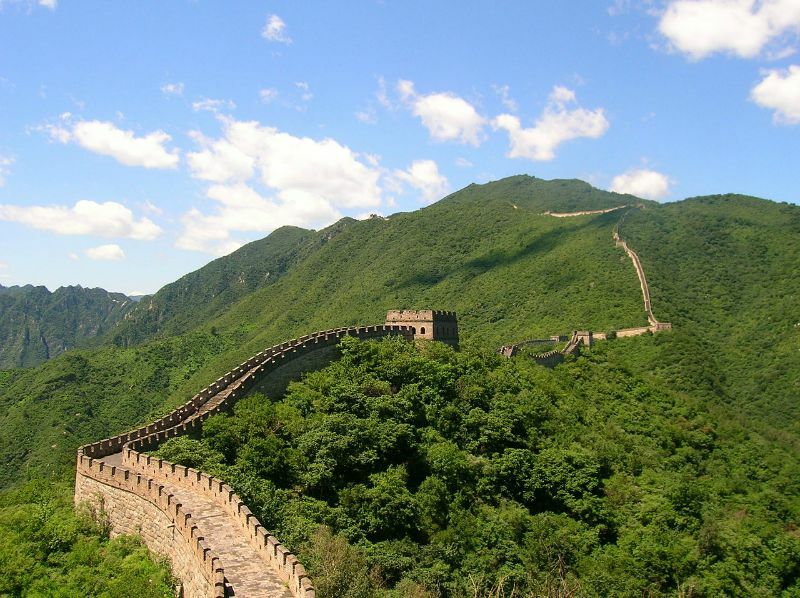 While it was fun and adventurous seeing big cities independently in my early 20’s, seeing china in my early 30’s I was very glad we had a guide. Even though my wife speaks Mandarin, once you are outside of the big cities in Northern China many locals actually don’t speak Mandarin well or at all! And many of those most interesting sites in China are outside of Beijing, Shanghai, and Hong Kong. While doing china independently is totally doable, it was stressful having a major language barrier. It was a lot more fun with a guide and the parts of our trip that were organized by the operator were much more fun and relaxing than the parts we just tried to wing it on own. As for an African safari, I did a group tour with Intrepid and it was one of my top 5 travel experiences and I’ve been to over 40 countries. I can’t imagine trying to organize a multi-country Africa trip without being part of a group tour or having a private guide if you can afford it. Besides, it was a lot more fun as a solo traveler at the time to travel with other fun people. I'm currently travelling through China and I completely agree with your opening comments- there's a sense of satisfaction knowing you've navigated around by yourself, but you do spend all your time dealing with logistics. Almost every meal I've had has involved scanning the menu with a smartphone app trying desperately to find something that's vegetarian, and our trip to the Great Wall from Beijing was a long, chaotic mess involving no less than five different modes of transport!